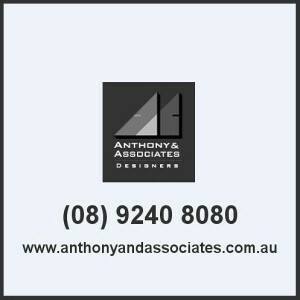 When in need of drafting services Perth, hire only the experts like the ones we have at Anthony and Associates. Our skilled draftsmen are ready to take on any kind of job. When do you need professional drafting services? There are a number of different reasons when you may need design and drafting services in Perth. One of the most common is when you are building a new home or a commercial infrastructure. Others employ the services of a draftsman when renovating their houses or when they want to add an extension to their current homes. Not only that, you may need drafting services Perth when you are applying for a Council Approval. These are just some of the projects when you may need a draftsman but we are glad to let you know that our professional draftsmen are well-versed when it comes to any of these projects. They are well-aware of the different building codes and can give you advice when they see something that does not seem fit or does not meet the building requirements. What should you look for in a draftsman? Experience – This probably is one of the most important factors that you should consider when looking for someone who could do drafting services Perth. 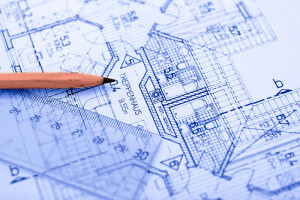 Your future project greatly depends on the house plan or the blueprint, thus; it is extremely important to employ a draftsman who knows what he is doing. At Anthony and Associates, we have draftsmen who have years of experience in the business. Their different experiences exposed them to different kinds of building projects. As a result, our draftsmen are adept at doing any all kinds of Perth drafting services. Knowledge in Building Codes – Nobody wants to have a house plan that does not meet certain building codes. To be sure, you should only hire draftsmen who have knowledge about the different building codes in Perth. Our draftsmen at Anthony and Associates have been doing professional drafting services for different homes in Perth for years now. That means our draftsmen are well-acquainted about the different building codes. We make sure that you will not have any problems with getting council approval when we draw a plan for your new home or your home addition/extension. Relevant Training – It is highly imperative for you to get a draftsman that has the necessary training to get the job done the right way. That means the draftsman must have ample knowledge when it comes to structure of a house or a building. He/she must know the different materials and methods used in construction. Also, the draftsman must have a deep understanding of the different principles when it comes to building houses so that he/she can make a building or a house plan that is built to last. When you avail of our professional drafting services, we can assure you of that. In fact, our head designer has a degree in Architecture so you do not have to worry about anything regarding your house plan. Active listening – Not just for Perth drafting services, but for any service that you may avail, it is crucial that the person you are working with has the ability to listen to you. Our professional draftsmen and house designers know that they are merely just a medium for you to have a house that you truly want. Our team will not push you into a design that they want, but instead, they will take the time and listen to what your needs or wants are. Our team knows that for a design to be effective, it must be functional. That is why when you avail of our drafting services Perth we make sure that your needs and lifestyle are addressed when making a house plan for you. These are some of the most important qualifications when you are looking for someone who can do professional drafting services for you. And, at Anthony and Associates, we are proud that all of our draftsmen meet all these qualifications. If you are still uncertain or have questions about drafting services Perth, you can talk to one of our draftsmen so you can put your mind at ease. Our draftsmen will be eager to work with you and point you in the right direction. So for your Perth drafting services needs, trust only our expert draftsmen. You can never go wrong when you avail of our professional drafting services. We will make sure that you get your money’s worth by drawing you a plan that is not only sturdy but a house design that is truly a reflection of your personality. Call us up now to inquire about our Perth drafting services.